The versatile radio control keyboard for gantry and overhead cranes. This device makes you forget many of the issues related with this type of equipment. So with it, REM have committed to simplifying the technology with the device. The T-Series increases productivity, thanks to a battery that can be replaced after 900 hours’ work (*subject to working environment demands), thus eliminating the frustration of constantly recharging the device. Added benefits include the sturdiness and ergonomic design of the remote which ensures maximum efficiency under any condition. In case of failure or loss of the transmitter, retransmission takes only a few seconds, thanks to the patented REMsys® Code system. Backed with a 36 month replacement warranty. 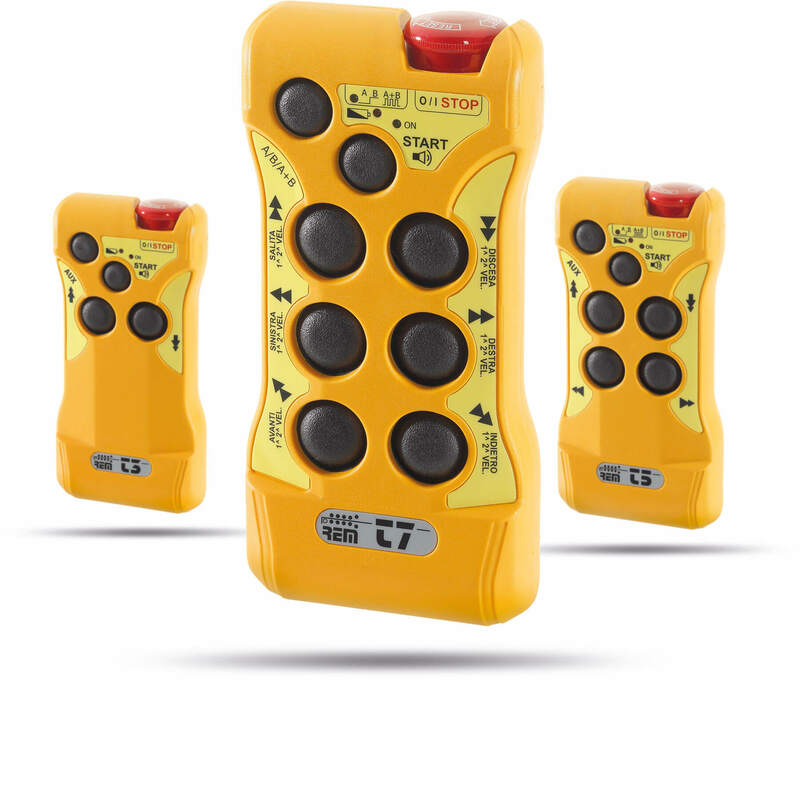 Models with 3, 5 or 7 buttons, the T series is designed for simplified practical use. 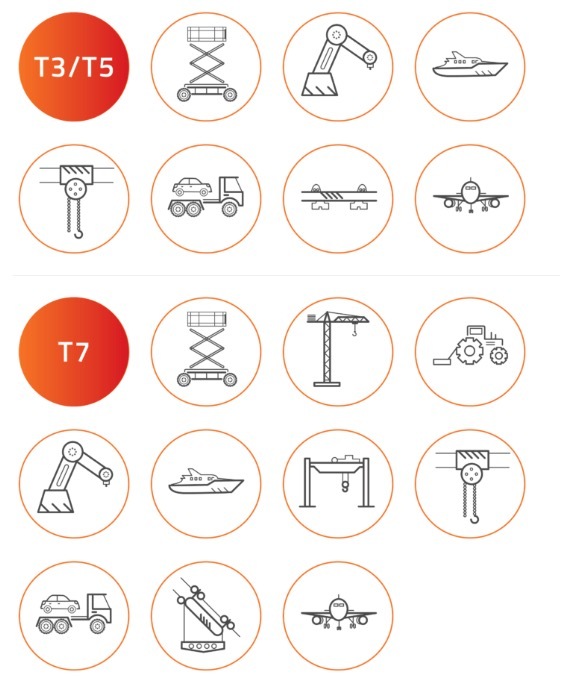 T7 is the versatile and compact remote control with programmable auxiliary button.